The mission of The Global Ageing Network is to connect and support care and service providers worldwide to enhance quality of life for ageing. Our mission is advanced through education, leadership, collaboration and research. Our members include professionals and organizations in ageing services, governments, volunteer organizations, businesses, academics, researchers and architects that specialize in design for ageing. 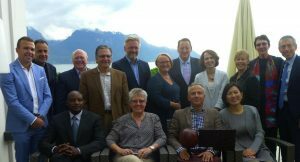 International Association of Homes and Services for the Ageing (IAHSA) dba The Global Ageing Network is an international network of leaders in ageing services, housing, research, technology and design. We bring together experts from around the world, lead education initiatives and provide a place for innovative ideas in senior care to be born. We pave the way to improve best practices in aged care so that older people everywhere can live healthier, stronger, more independent lives. The Global Ageing Network was founded as the International Association of Homes and Services for the Ageing (IAHSA) in 1994 by an international group of leaders who realized that the global ageing phenomenon would have a profound impact on our earth’s elders. Their vision was to create a platform for policymakers, researchers, business and ageing services providers to collectively share their knowledge and best practices to enhance quality of care for the elderly. Over the years The Global Ageing Network has created an international forum for the exchange of research, services, products and training that make up the Global Ageing Network. To disseminate pertinent and timely information regarding ageing issues. Katie Smith Sloan comes to the Global Ageing Network after over 30 years of experience working on aging issues, including serving as President & CEO of LeadingAge, a U.S.-based national organization representing not-for-profit community based organizations providing services to people as they age. Katrinka (Katie) Smith Sloan is the Executive Director of theThe Global Ageing Network, an international community of individuals and organizations committed to quality of life for people as they age. The Global Ageing Network is focused on sharing best practices round the globe, fostering the translation of research into practice, connecting practitioners, showcasing effective design solutions and forging partnerships to enhance the quality of care and services for the world’s aging population. 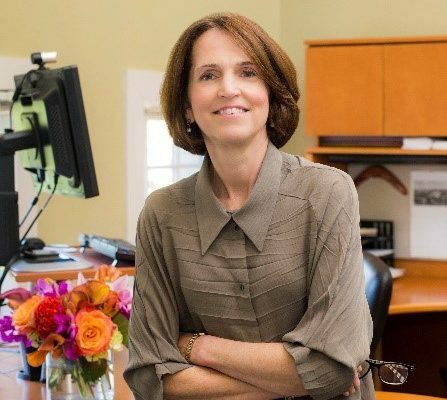 Sloan comes to the Global Ageing Network after over 30 years of experience working on aging issues, including serving as President & CEO of LeadingAge, a U.S.-based national organization representing not-for-profit community based organizations providing services to people as they age. She joined LeadingAge in April 2002, after having served in a number of key leadership positions at AARP. As a member of AARP’s senior leadership team, Sloan was responsible for major social marketing initiatives to carry out the association’s strategic priorities in health and wellness, economic security, and consumer protection. Sloan has a strong commitment to the consumer movement, and serves as secretary-treasurer of the Consumer Federation of America and a member of the Board of the Center for the Study of Services/Consumer Checkbook. She also serves on the Board of Directors of ValueFirst, a group purchasing company serving the aging services field. She has a master’s degree from The George Washington University and a bachelor’s degree from Middlebury College.